If you haven’t noticed yet, the someonetoldus-bloggers are quite fond of a good hamburger every now and then. 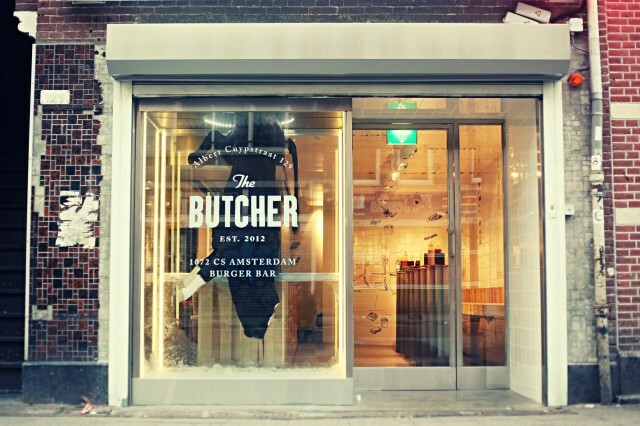 That’s why when The Butcher first opened it’s doors in Amsterdam’s cosy The Pijp area, we were one of the first to take a peek. High quality burgers (Aberdeen Angus Beef) are being cooked and served at the front area of the house. It’s a place to go for snack before going out (or even better: after having had too many drinks). But… when you walk all the way to the back of the place, there’s a big door that looks like it leads into a refrigerator or storage area. Guess again. Making a reservation through your special connections in Amsterdam might open this big secret door for you to see what’s behind it. How? We’re not going to tell.